Wanna win tickets to one of the hottest beach parties/music festivals this summer??? AyosDito is giving away 35 tickets + accommodations + 10 limited edition loudbasstard AyosLoudbasstard speaker docks as consolation prize. Don't miss the chance to see bands such as Up Dharma Down, Taken By Cars, The Zombettes, Pedicab and many others FOR FREE with 3 of your friends. Yup 3! Ayos Dito is giving these prizes away as a barkada deal. I can't think of anything more perfect than that. Sun, Sea, Friends + Good Music. 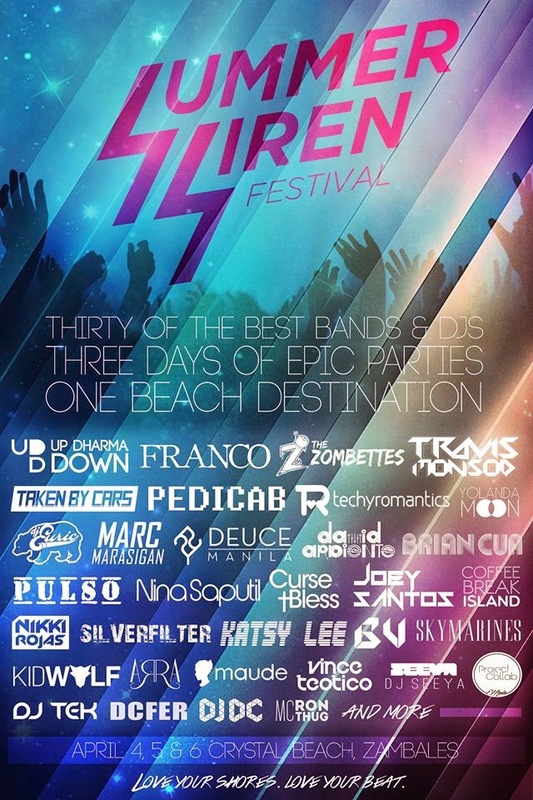 The Summer Siren Music Festival is happening this April 4-6 at Crystal Beach Zambales. Winners will be selected at random. The more #AyosNaSummer wish you send, the higher your chances of winning. 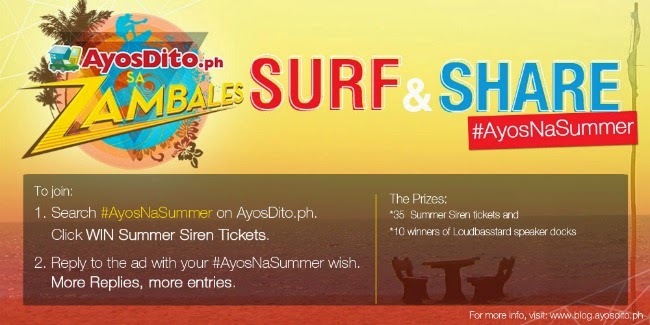 Each ticket is valid for entry to the Summer Siren event at Crystal Beach, Zambales this coming April 4 to 6, 2014.